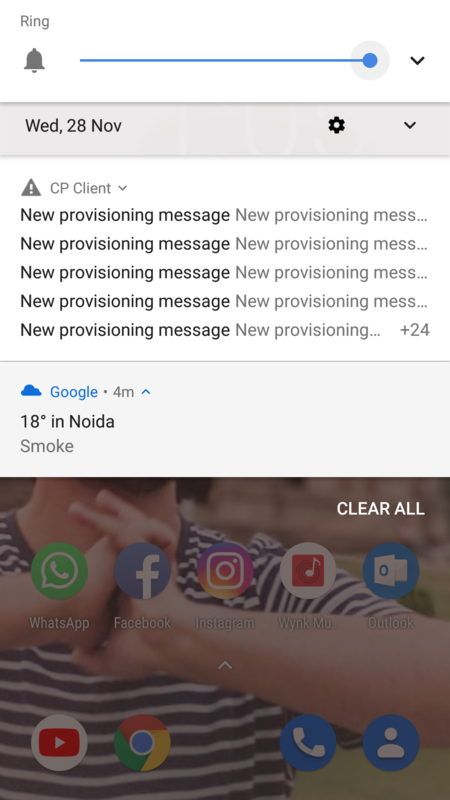 Recently, I keep getting weird notifications from 'CP Client' saying 'New Provisioning' message with 3 options - Postpone, Delete or OK.
should i do to get rid of this problem? First make sure the phone is fully updated, both the OS and all built-in apps (in Play Store > My apps). This is best done over WiFi. Please refer to your mobile operator/carrier if the error persists. A replacement SIM card may be required. 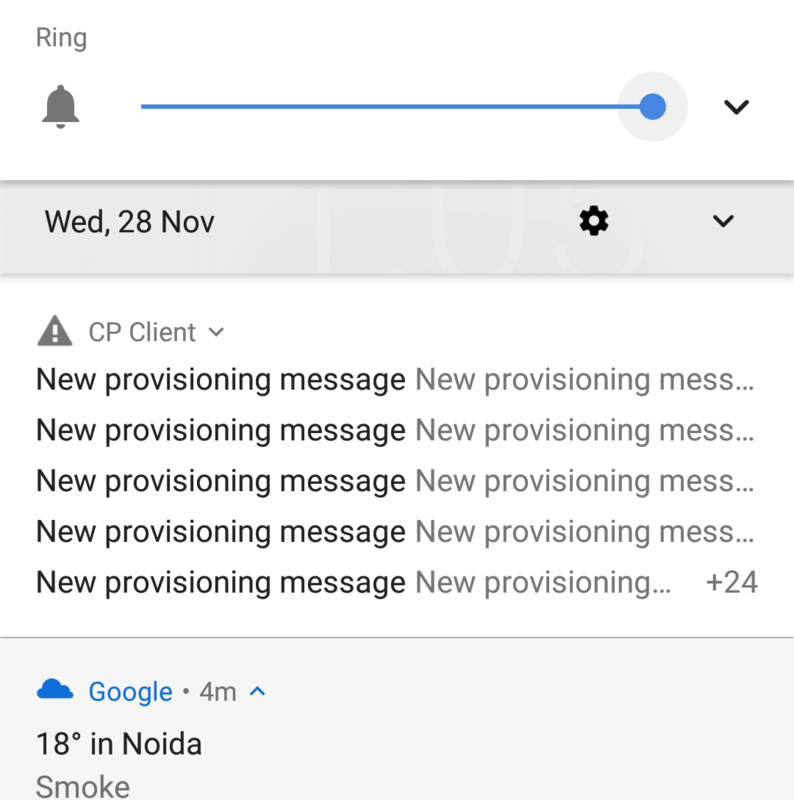 Sorry to report that disabling Google Carrier Services did not achieve the stopping of notifications. Though I'm sure RCS is the problem. May i know the network carrier you are using? New provisioning setup is the access point settings provided by the network provider. Try resetting network settings or else contact your network provoder. Hi Akhil and original question poser. On "3" but I suspect that is irrelevant. A nice lady in the Staines,UK "3" office found the answer on android.stackexchange.com. The best answer was posted by chitraksh bairathee. I slightly modify his answer to help avoid mistakes. scroll thru the many apps down to "CP Client", then select it. Do a force stop and disable. Having done that i have been without Provisioning messages for 30 hours, and the phone still works. Of course there may be problems with newer apps that use the facility, but I do not care at the moment. The fix described in my last post has been working for nearly 3 weeks. Have not yet found a down side.So do that. This works. thanks for posting this. I have a serious doubt, what exactly is the new provising configuration. Please see earlier post. I have nothing to add. Was looking to stop the issue and fortunately did. This solution do not work in my case. Carrier: Idea cellular from India. This is getting really annoying. Till now, I ve always force-stopped this app to resolve this issue, until every reappearance with every reboot of the phone. Now this does not even work. I press the "force stop" button and now nothing happens. Nokia, release an update with a permanent fix. Goto Settings App infoSelect All appsclick on the settings button (the tree dots vertically top right)click on "show system" (This shows all the apps not just the initiation icons. )scroll thru the many apps down to "CP Client", then select it. Good luck all. HuggyThis solution do not work in my case. Carrier: Idea cellular from India. This only worked for some time. Now the Force Stop button itself is irresponsive.